The poem Paterson, William Carlos William's epic masterpiece, consists of 5 books and part of a 6th, published between 1946 and 1958. 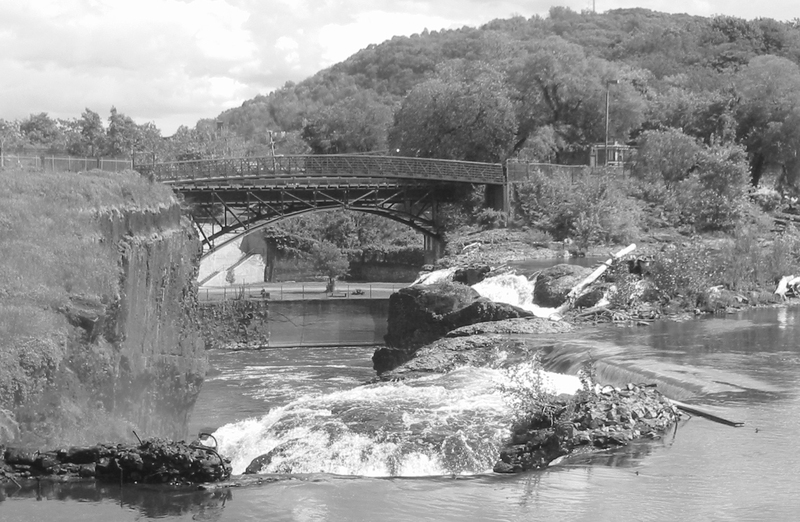 Paterson is set around the town of Paterson, New Jersey and the Passaic Falls, a source of energy for both the town and the poem. Williams wrote, "Paterson is a long poem in four parts — that a man in himself is a city, beginning, seeking achieving and concluding his life in ways which the various aspects of a city may embody— if imaginatively conceived — any city, all the details of which may be made to voice his most intimate convictions. Part One introduces the elemental character of the place. The Second Part comprises the modern replicas. Three will seek a language to make them vocal, and Four, the river below the falls, will be reminiscent of episodes — all that any one man may achieve in a lifetime." It's impossible to provide more than a synopsis of the thought behind the work Paterson, and more than a fragment of it's lines, on one simple web page. We leave you, the reader, with an excerpt from Book One, and hopefully an understanding of the heart underlying our musical and visual response. But only one man—like a city."